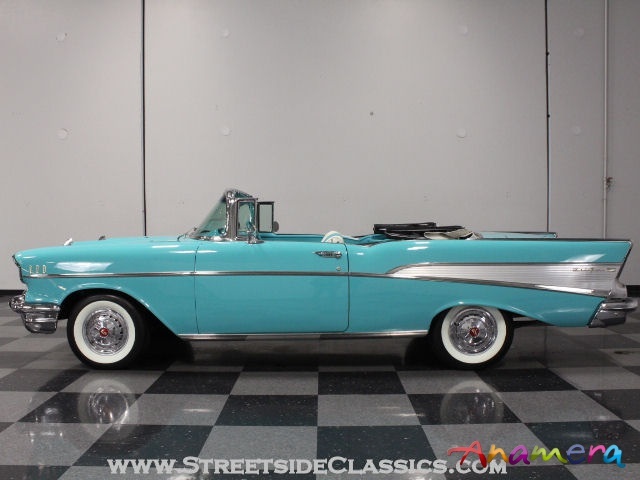 On the list of the world's most desirable cars, more than a few of us have the 1957 Chevrolet Bel Air convertible. They made zillions of them, yet the good ones continue to bring big money, suggesting that rarity isn't a factor. 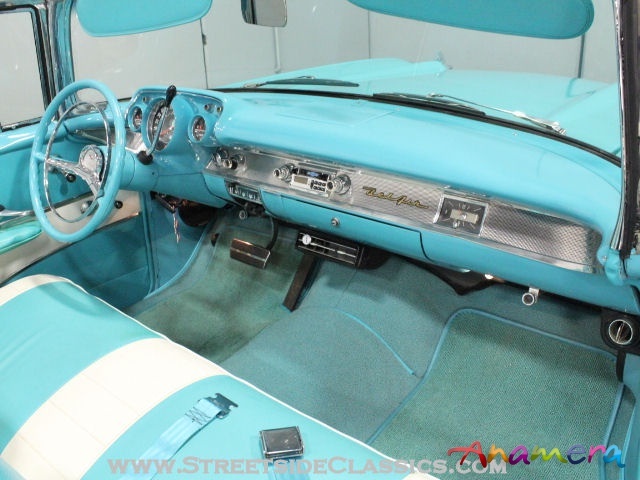 After taking a good look at this wonderful Tropical Turquoise ragtop, I think the actual explanation is that people simply fall in love. 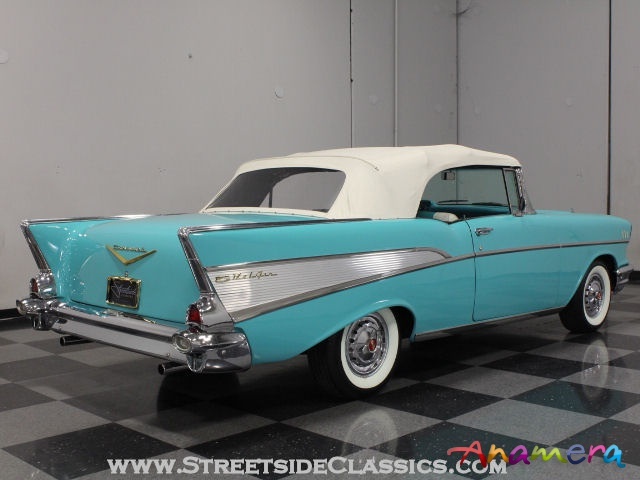 Treated to a comprehensive restoration about five years ago, this '57 Chevy Bel Air is a shining example of '50s style all wrapped in a neat pastel wrapper that recalls poodle skirts and early rock-n-roll. 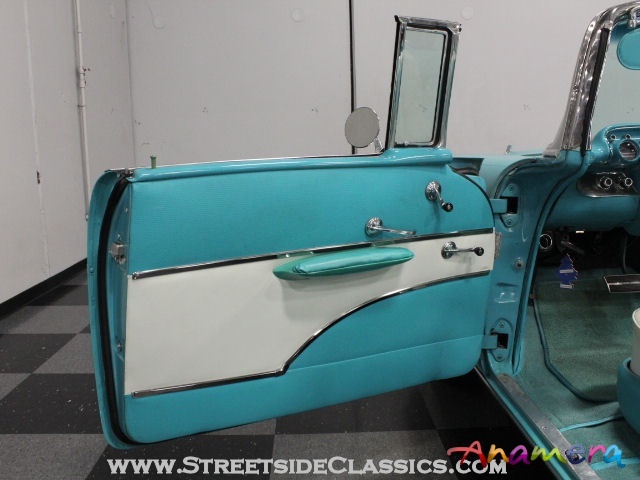 Getting beyond the image, you'll find that this is a downright gorgeous car that was correctly restored. The finish is the right color without any metallics or pearls in the paint, so it looks right with a spectacular shine. 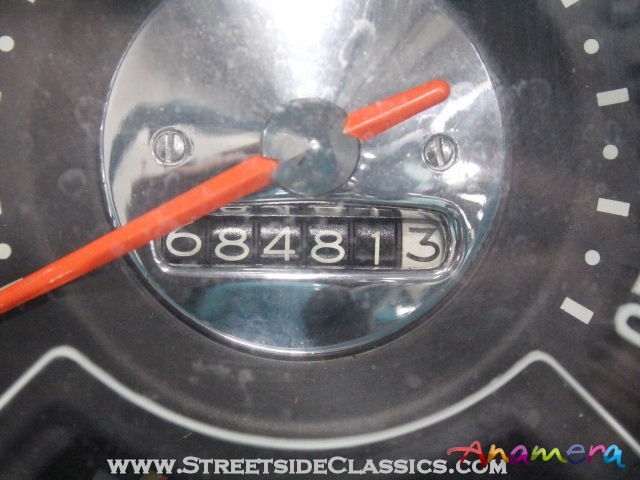 The body was straightened and any rust issues were addressed while it was stripped to a bare shell, and the reassembly process was infinitely more careful than the assembly line, so it fits together quite neatly. All the chrome was refinished, including the 1-piece California bumpers and anodized V on the hood that warns onlookers that there's a V8 under the hood. It might show a few very minor signs of use, but showing up in this car is still a big event. 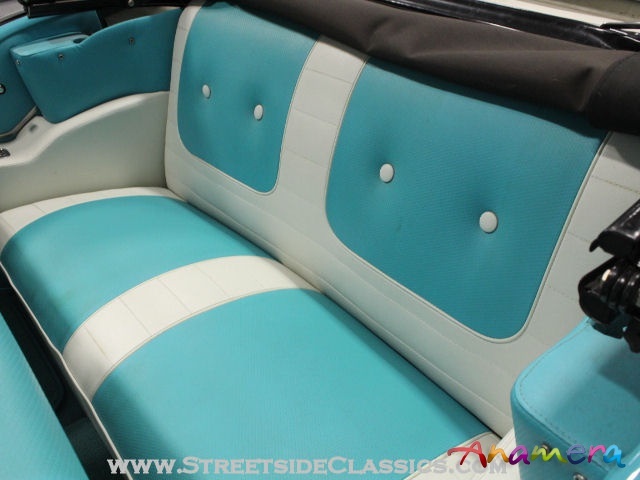 The two-tone interior was correctly restored, too, ranging from the button-tufted seat backs to the door panels with their swooping brightwork. 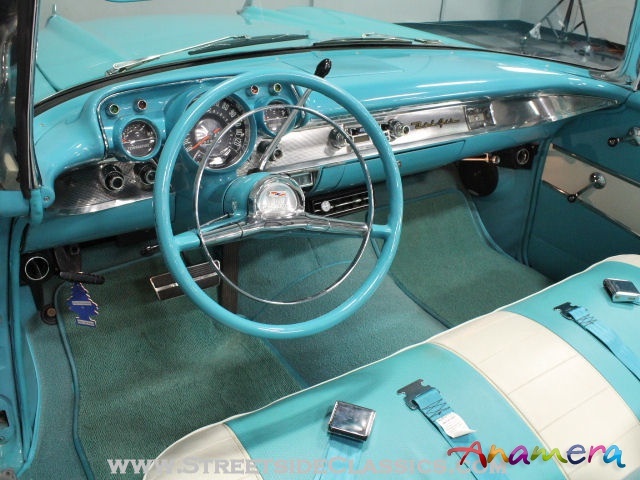 A few very cleverly-integrated modifications make this a fantastic cruiser, including the under-dash A/C unit that almost disappears until you go looking for it, and an AM/FM radio with a remote CD changer for entertainment. 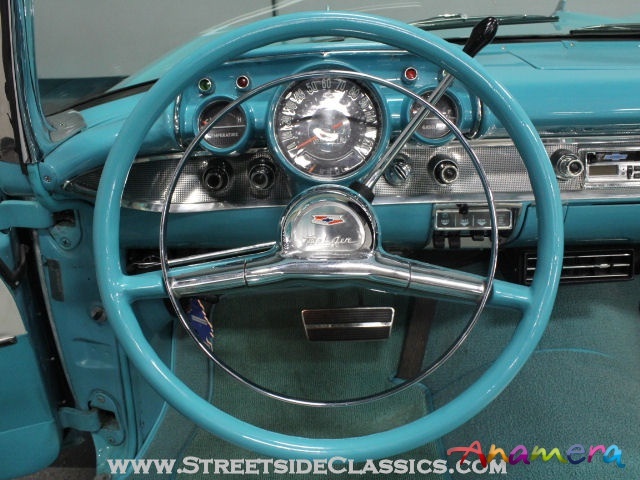 The gauges, steering wheel, and other dashboard components were all refinished to factory specs, and just as with the exterior trim, the bright instrument panel sparkles like new. 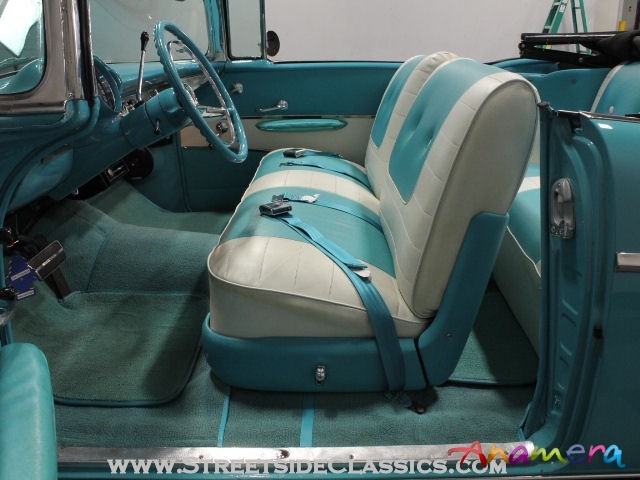 Color-matched seat belts were added for safety and the floor mats were made from the same materials as the rest of the interior, so they blend in and help protect the rugs. The white convertible top is power actuated, although you'll only need it for emergencies, and the trunk is finished as original with a rubber mat and full-sized spare tire with jack assembly. 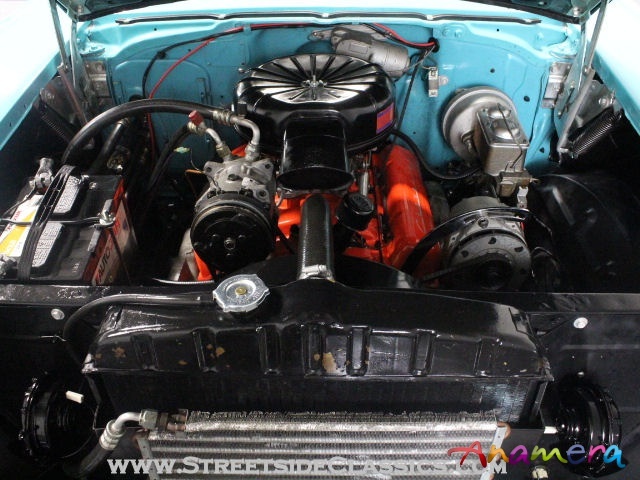 A recently rebuilt 350 cubic inch V8 was plopped between the fenders and looks just right with its massive forward-facing air cleaner and Chevy Orange paint. The 350 4-barrel engine puts out plenty of pop, which makes this ragtop feel quick around town and with an upgrade to a TH350 3-speed automatic transmission, it's an easy cruiser anywhere you go. Other obvious upgrades include a big alternator, a dual reservoir master cylinder with power assist, and the A/C with R134a refrigerant. There's also an oversized Griffin radiator and clutch fan to keep air moving over the condenser, even in traffic, and front disc brakes are a smart safety upgrade. During the restoration, the suspension and brakes were rebuilt and a new dual exhaust system was installed, so it has a nice V8 bark without being too aggressive. 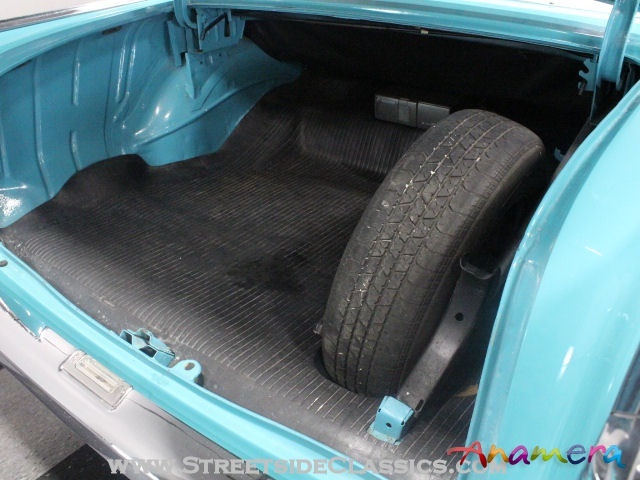 Brand new steel wheels were painted to match the body and fitted with original hubcaps and 215/75/14 BFGoodrich Silvertown wide whitewall radials. 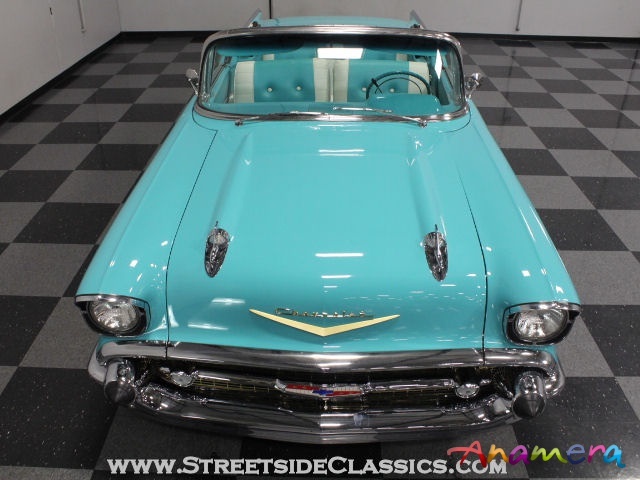 The '57 Chevy is an icon, but that doesn't mean it can't be improved. 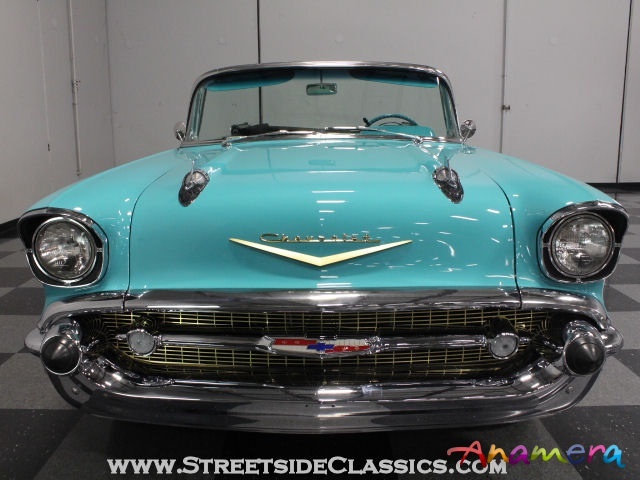 With all the creature comforts and some safety upgrades, this is the Bel Air you want to own if you love to drive. Call today!